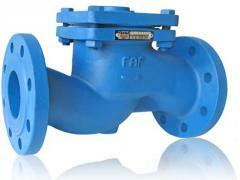 The valve is the return, double-wing, interflange. (case cast iron, disk/spring / val-nerzh. steel, saddle-EPDM). Ru-16, T = to +130. Working environment: hot and cold water, nonaggressive liquids. The valve is the return, lifting, flange, pig-iron. GG-25 case cast iron. 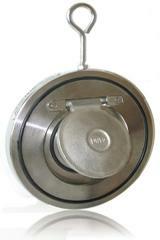 A spring/plunger/saddle - SAE 304 stainless steel. Du 15-300, Ru-16, T = to +200 Working environment: Water, steam, air, natural gas to which liquids are resistant materials of flowing part. 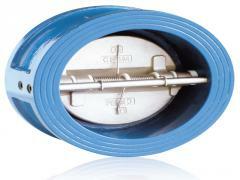 Unbelievable price on Pipeline valves in Chişinău (Moldova) company Posterus-AV, SRL. Wide choice of quality products at affordable prices.